Have you ever had a dream that one day you might be able to represent your county in a sport that you love? The chances are that you have, standing proud wearing the England rose ready to compete and give your all. If you have the drive and ambition to realise a dream they can come true! The English Tug of War Association, has a strong tradition at international tug of war winning at World, European and British Championship level. We are currently looking to build on our England U23 programme (men and ladies). Under 23 championships are also now held for mixed teams. For U23 pullers you must be between 17 & 22 before the end of the calendar year. It is an exciting opportunity for you to aim for and to fulfil your dream. 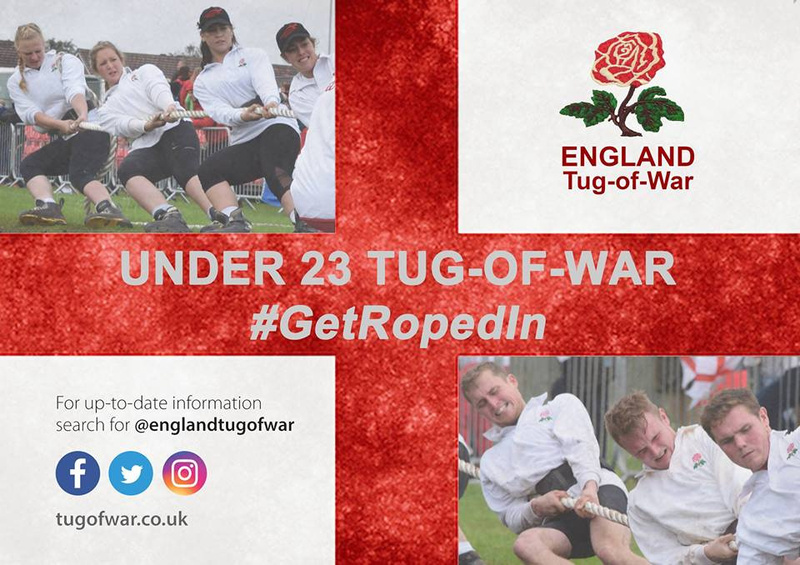 Our under 23 teams come from a wide variety of back grounds – some come from both established tug of war clubs and newer clubs in our Association and we have a strong connection with young farmers clubs, military teams and other organisations. We are open to everyone who would like to give tug of war a try. Complete the application form below applying for either the under 23 men's team or the under 23 ladies team and return them to the appropriate team manager whose details are provided at the bottom of this page. They will then get back in touch with you with further information.